With the exhaustively blanket press coverage ahead the second series of Downton Abbey, the entire population may well have been persuaded to watch. And, never one to miss the opportunity to be influenced by the cover story of TV Buzz magazine, tv-ooh decided to watch too. And what a spectacle: first a doddery old man shot in broad daylight, and then a strange dimly-lit office full of Mac computers doing complicated hi-tech stuff with thirty-somethings looking busy and stressed. Wow - something major is going on here! Oh hang on this is Spooks. 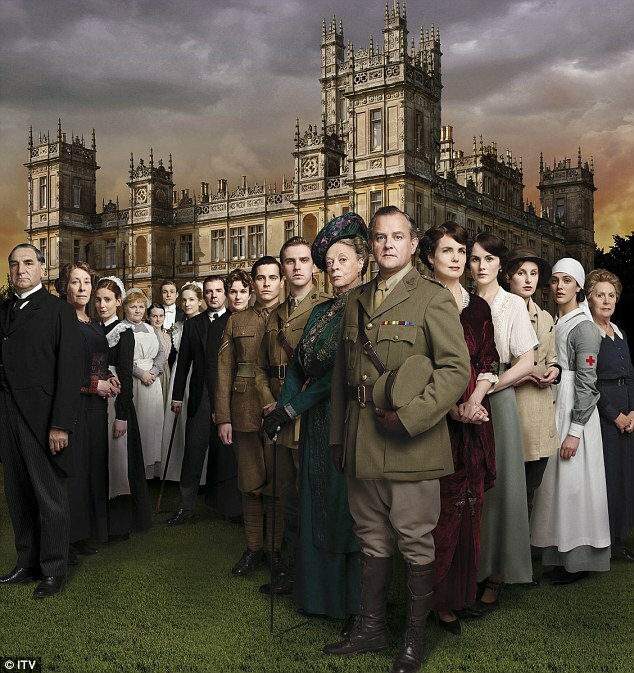 So switching over to Downton Abbey, the difference is clear - this is like a tv dose of Valium, but in a good way. Sure, there's plot, story lines, stuff going on - but really the idea seems to be that you sit back and enjoy the overall soporific effect. You can't deny the budget - the costumes, the grand location work, and plots and acting of varying quality. But really it's about going with the flow - a flow jarringly interrupted by the ad breaks, admittedly (boo to commercial telly and its money making business model!) - and in that sense it's fairly near ideal, not-wanting-to-go-back-to-work-tomorrow, Sunday night tv. So will Matthew survive the front line of World War I? Will that 'good luck' toy Lady Mary gave him remain clean? And will they rekindle their romance, Matthew and Mary that is, not Mary and the toy? Will the woman who played Henry VIII's first wife in The Tudors and now playing Vera Bates in Downton Abbey continue to blackmail her husband, the loyal house servant Bates? And will Dame Maggie Smith continue to get all of the best lines? "You'll find there's never a dull moment in this house," she says, perhaps not entirely truthfully, which means she probably will. You're one of many millions Lucie, tv-ooh included. Who doesn't love a bonnet? !